like it (still working on Michael to try new things). Brown your hamburger meat. Once it's browned, I drained the grease. While the taco seasoning is infusing with the hamburger, you'll want to pour the cheddar cheese soup in another pot. Add the milk to the soup. Mix and heat until it's smooth. Pour the Fritos in a 9x9 pan. I could not find the chili cheese flavored ones. So, I used the plain Fritos. Cover the bottom of the pan with the Fritos. 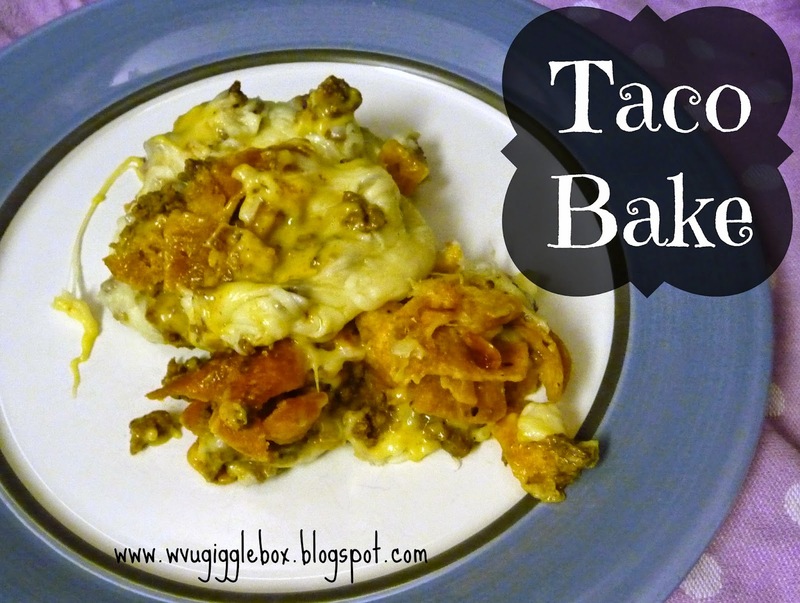 Cover the Fritos with the taco seasoned hamburger. Cover the hamburger with the cheddar cheese soup. Add the mozzarella cheese for the final layer. I love cheese so I loaded it up with cheese. Place in oven and bake for 10 - 15 minutes or until it's nice and bubbly. It smelled so good while it was baking in the oven. Look at all that cheese! They recommended that this would be great on a bed of lettuce and topped with your favorite taco salad toppings. Since that's not something Jon likes, we just ate it as is. I will say this, it probably would have tasted much better with the chili cheese flavored Fritos. It was missing a little something. Jon and I both added a little bit of salsa to the top and it helped a little, but it was still missing something. I might try this next time with the BBQ flavor Fritos and see if that helps. Try it and let me know what you think.